At Church on the Hill we believe in children and we desire to see God’s will played out in every aspect of their lives. God truly does have a plan for each and every individual and we fully intend to partner with you as parents to see His plan shaped and molded in the lives of your kids. We offer dynamic childcare for children ages 10 and under at all three of our services. For kids ages 11, 12, and 13, we offer a special service just for junior highers right after worship during our 9 am service in the Auditorium. 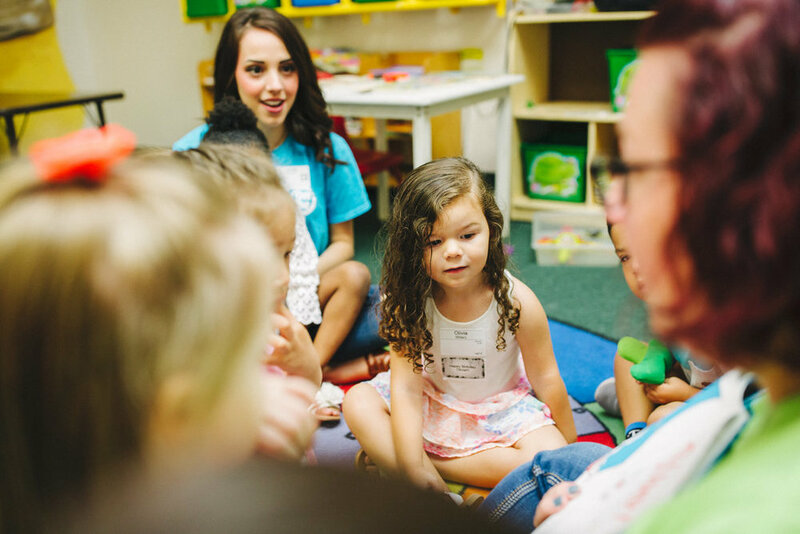 Our staff is highly trained and genuinely passionate about seeing God transform the lives of children today. A typical service includes praise and worship, reading of the Word, playing games, doing crafts, and praying over each other. We even offer a take-home assignment that parents can review with their kids later in the week! There is always something fun going on in our children's ministry, but most importantly, you can rest assured that your children are in the greatest of care while you are in service.